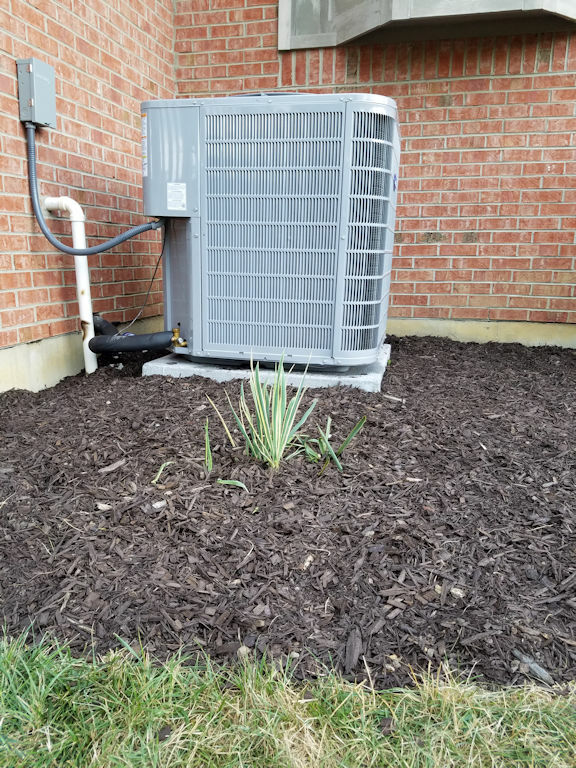 Last weekend after the new air conditioner was installed, I spent some time tidying up the area around it. I weeded, edged, spread some mulch, and replanted a small yucca that had been moved out of the way temporarily. My husband was very helpful carrying the bags of mulch. That area looks much better now. 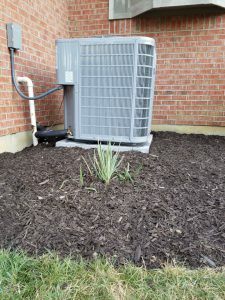 I hadn’t really noticed that it needed improvement before, but that is often what happens when old stuff like a worn-out air conditioner ends up staying around too long. Other things close to it that need maintenance also get overlooked, such as the need for mulch and edging. What’s going on, as far as I can tell, is that the subconscious mind sorts it all into the general category of stuff that’s not being done yet. Then we just keep on walking past it every day without even noticing. The converse is also true—when there’s something new and fresh around, that makes all the old neglected stuff more noticeable and becomes a powerful motivator to get things in shape. As for my yard in particular, there are a few other areas in need of mulch. If it hadn’t been for the new air conditioner, I might have ignored them a while longer, but now they seem much more obvious.